On one evening each year in Artesia, the sound of dozens of sirens piercing the air heralds not danger but joy. The community’s first responders and law enforcement personnel give of themselves every day for the citizens they serve, but as Christmastime nears, they turn their attention to one particular group of residents: the children. The Shop with a Hero program allows representatives of the Artesia Police Department, Artesia Fire Department, Eddy County Sheriff’s Office and Fire Services, New Mexico State Police, New Mexico Corrections, Department of Homeland Security, U.S. armed forces, Regional Emergency Dispatch Authority, and N.M. Mounted Patrol to bring a little holiday magic into the lives of children who might otherwise see little under their tree. Children who would benefit from the program are recommended by their schools, churches, and other social service agencies, and at least 100 are then paired with heroes from the above-listed agencies, who — following a high-profile parade from their gathering point to the store of choice — join the students as they shop for their most-coveted toys. 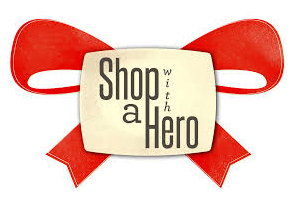 Shop with a Hero, a 501(c) nonprofit, relies on donations to fund its efforts. Between 2006 and 2016, a total of 989 children have been able to fulfill their Christmas wishes alongside their heroes, and the organization is hopeful that number will continue growing for many years to come. To donate, make checks payable to “Shop with a Hero” and mail to the Artesia Police Department, Attn: Cmdr. Ricardo Huerta, 3300 W. Main St., Ste. E, Artesia, N.M., 88210, or drop off at the APD Records Division at the Public Safety Complex. Smith says volunteers are also welcome to aid with such things as planning and pairing children with heroes, and anyone interested in giving their time may contact Huerta at the number or email address above.